Today it is snowing like crazy! We are supposed to get up to eight inches over the next 24 hours. 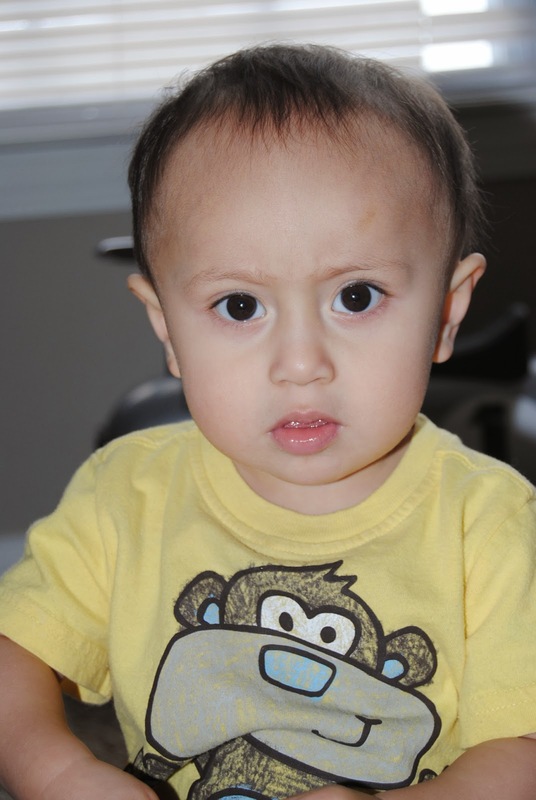 So Sylas and I are tucked inside where its nice and warm. I have the front windows open so Sylas can watch it fall. He finally tuckered out and went down for a nap so I have some time to post. Start by browning your meat. 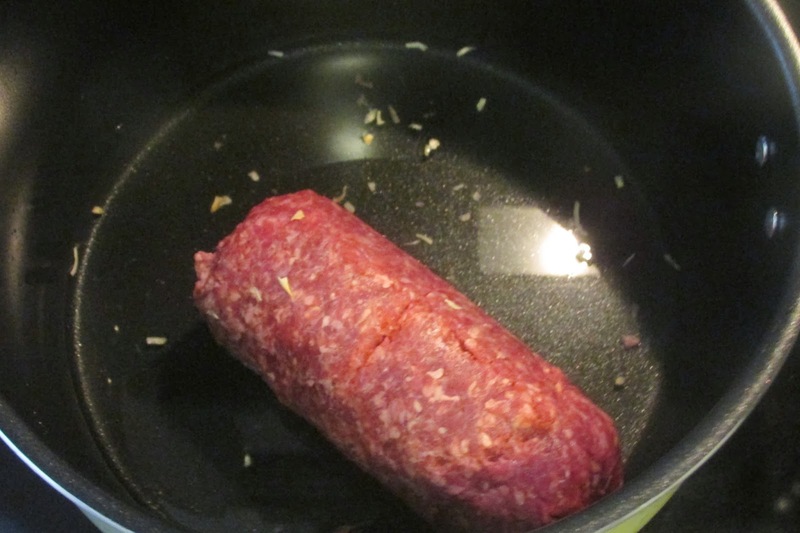 Sprinkle some onion in with the meat to bring out its flavor. 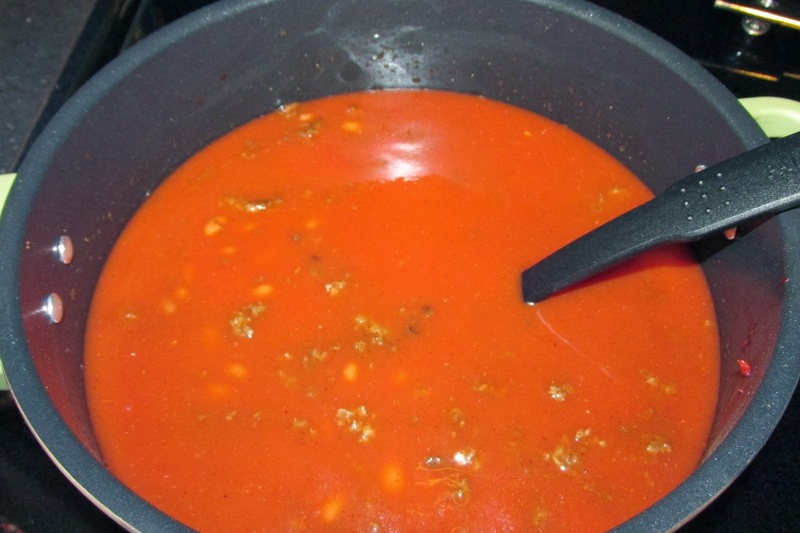 After you have drained the excess grease from the hamburger, add the tomato paste and the chili beans. 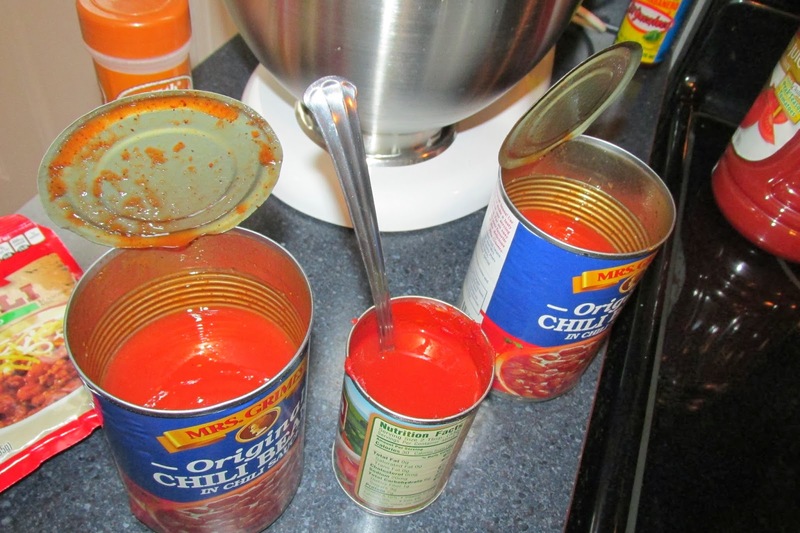 The next thing that I like to do (totally optional) is pour some tomato juice into the cans to get all of the stuff out, especially the tomato paste since it tends to stick to the can. Just swirl your spoon around in it and pour out into the pot. 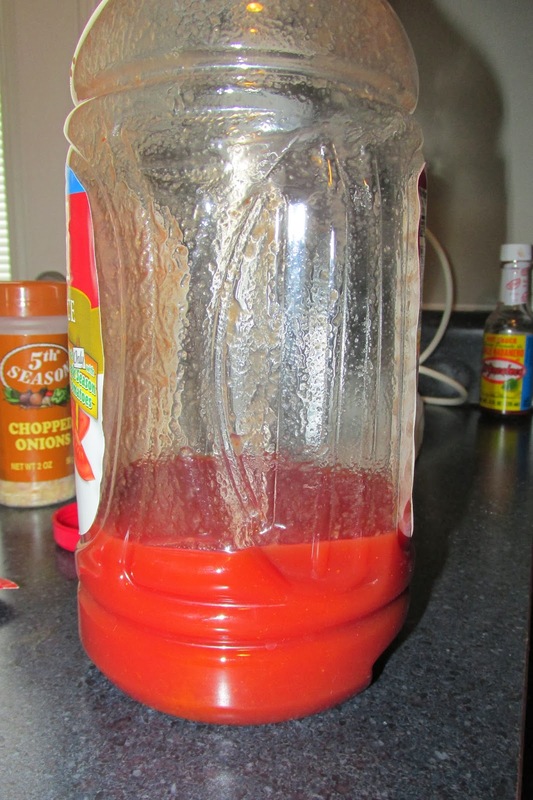 I normally use garden tomato juice but I didn’t have any today, so I improvised and used Campbell’s . I like home grown, canned juice better because it is thicker and pulpy. So when using store bought, I use less juice. I like my chili to be thicker. 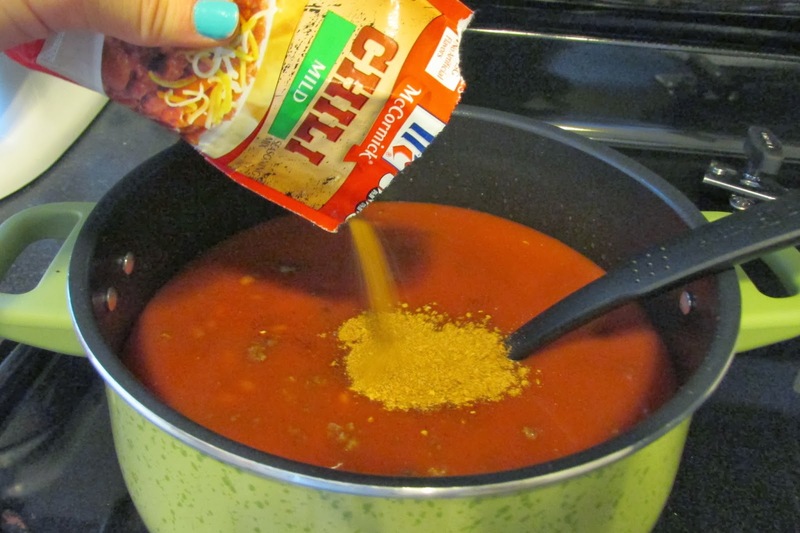 If you prefer your chili to be a little soupy, you can add the whole thing. This is about how full the pot is after the juice is added. 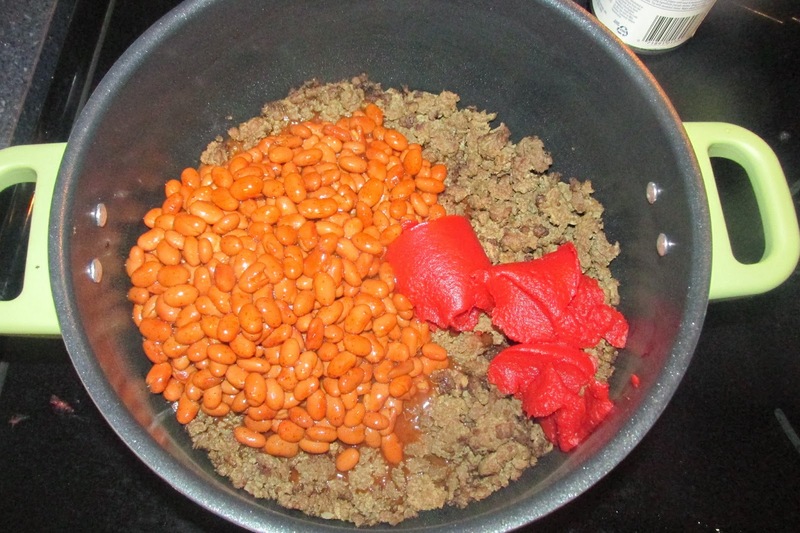 Next, add your chili seasoning packet. I use mild because it is kid friendly but there are hotter versions if you are looking for some heat. Cook over high heat until it gets to a good bubble, then lower the temp to cook off the rest of the excess fluid. 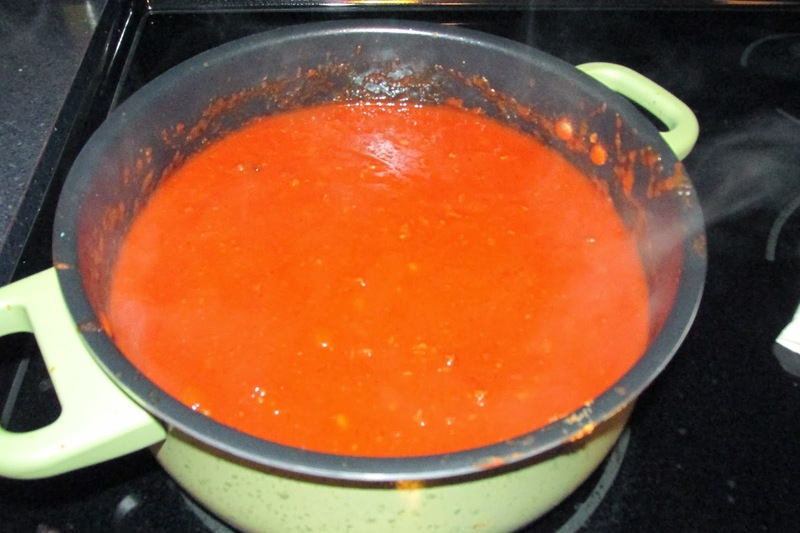 Make sure you stir it frequently because it can burn and stick to the bottom of the pot. Then you have little black floaties in it. You can eat it plain or serve it with some saltines and shredded cheese. 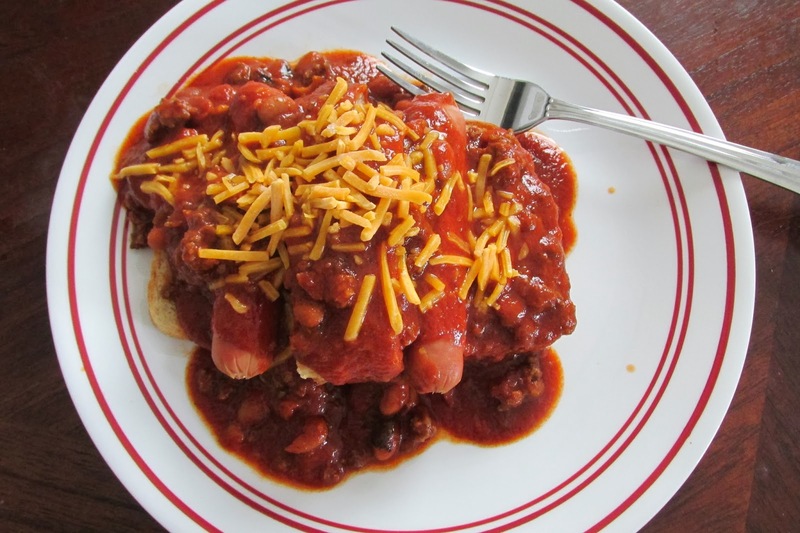 My personal favorite, a chili cheese dog.